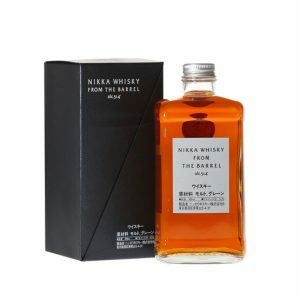 The Nikka 12 Year Old Blended Whisky is a product of two Japanese distilleries (Yoichi and Miyagikyo). 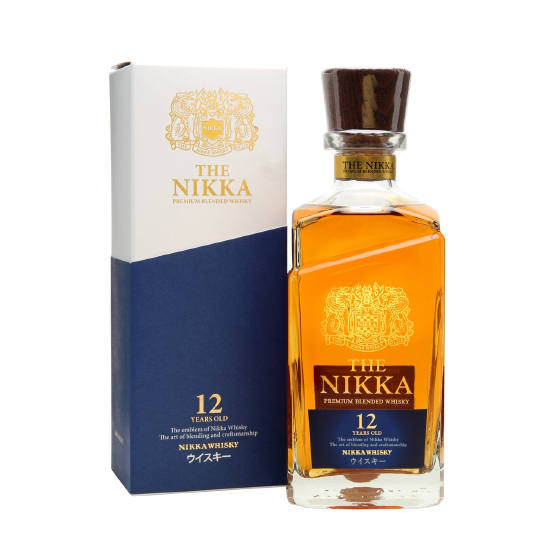 The Nikka 12 is a balanced blend with great complexity. There’s green apple freshness, rich fruitcake spiciness, butterscotch and some green peppercorn punch. Purchase now and earn 95 points. Nose: Sleek and refined. 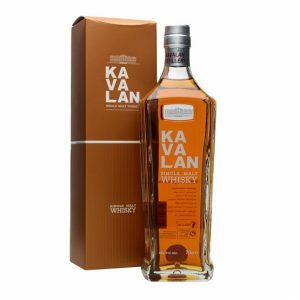 A perfect balance of fruits, malted barley, beeswax and spices (cinnamon, nutmeg), the first nose is very full. 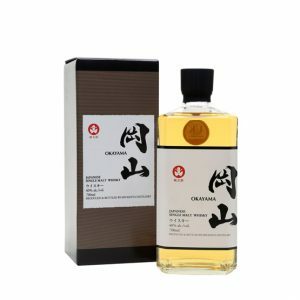 The nose then evolves on softer fruit and herbal notes (moss, lichen), a sign of great maturity, and lingers on citrus aromas (orange, lemon). Palate: Both lively and serene. Dark chocolate provides the backbone of mouth-watering bitterness. 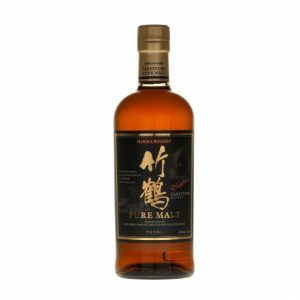 On one end, the malted barley extends to earthier notes, while on the other, fresh fruits (apple, prunes, mirabelle and greengage plums, pear) are reminiscent of a plentiful harvest. With air, honeyed and floral notes (lilac, lilly of the valley) make their appearance. Finish: Long, suave. At first, coconut milk and red berries (strawberry, raspberry) stretch out across the palate. 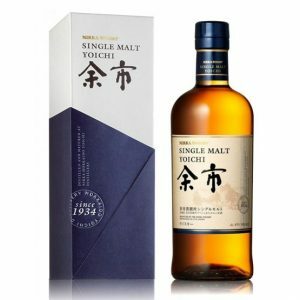 In the back of the mouth, candied fruit (pineapple, clementine) accentuate the pleasant freshness, while the retro-olfaction is marked by tobacco and liquorice notes. The empty glass offers a glimpse at a variety of flowers.